Charity is the first principle of the Knights of Columbus. We are men of faith and men of action. Since our founding in 1882, K of C has grown to become the largest Catholic, family, fraternal service organization in the world. Pope John Paul the Great Council 15134 was established at Blessed Sacrament on 30 August 2010. The council is named in memory of the saint who heralded the Knights of Columbus as "the strong right arm of the Church." 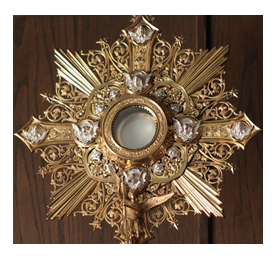 Our council is dedicated to helping provide an increase in spiritual activities for the men, families and youth of our parish, and to be a service-oriented organization supplying support to all organizations within Blessed Sacrament and the greater community. This is accomplished through activities in six categories: 1) Church 2) Family 3) Youth 4) Pro-Life 5) Community and 6) Council. 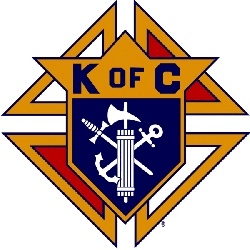 Unless otherwise noted, K of C meets on the 2nd Tuesday of each month at 8 PM in St. Joseph's Hall. The Rosary is prayed before the meeting, at 7:15 PM. All Knights are encouraged to attend, and Knights from other councils are always welcome. 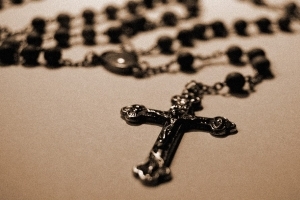 Attention Brother Knights -- We now pray the Rosary together before our monthly Council meetings. We begin at 7:15 PM in St. Joseph's Hall, with the regular business meeting following at 7:30. While the Rosary is "optional" and not an official part of the meeting, please join us if you can! Also please consider volunteering to lead the Rosary sometime.